There is something deeply negative and nihilist imbedded into the Sri Lanka consciousness. By ‘Sri Lankan consciousness’ I mean the consciousness of all Sri Lankans, whether they are from the majority Sinhala community or the Tamil or other minority communities. What is common to all is a deep negativity inherited from the far distant past. In my recent book on Asoka’s policy of Dhamma and democratic values, I trace this negativity to the influence of an Indian philosopher named Adi Shankara, who lived around the 8th Century AD and whose influence on India, pulling it in the same direction of nihilism and negativity, is enormous. 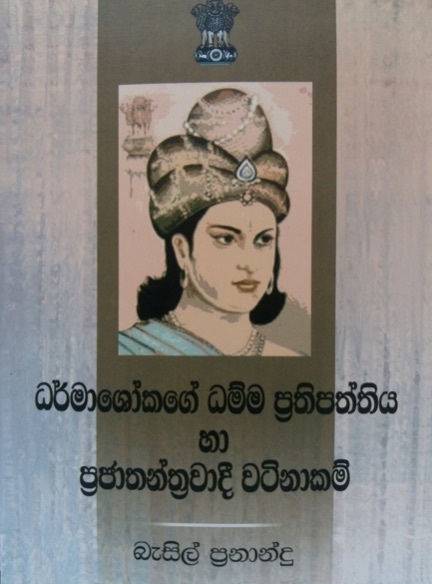 Following several others, I have tried to show how this philosophy was brought into Sri Lanka by several Indian invasions in the 8th Century and thereafter, and how it became the predominant philosophical mold in the country, and how it has molded generations upon generations of Sri Lankans. Many books have been written on Adi Shankara’s philosophy and the writings are from two extremely different points of view: One is from those who religiously venerate him, and the other is from those who deeply criticize him, blaming him for everything negative that has happened in India since the 8th Century, particularly the revival of the caste system, which had been subdued to a great extent by the Buddhist and Jainist movements from around the 3rd Century BC. Those philosophies were replaced with a new philosophy of nihilism, regarding the whole world as an illusion. Adi Shankara’s philosophy was opposed to the dualistic philosophies of previous centuries of Indian philosophy, which regarded the existence of God and the existence of the external world as two separate things. Adi Shankara’s philosophy of non-dualism meant that nothing other than God existed, and that everything else was but an illusion. What is important is the moral influence of this philosophy. Since nothing exists and exists and everything is an illusion, there was no basis for anything called high ideals or any justification for morality. Morality, too, was an imaginary creation, which was only created in the same way other illusions are created. The removal of the idea of there being a material basis for morality meant that there was no justification or need for morality at all. There is, however, some contradiction in his philosophy: later, it attempted to give advice on how to live and things like that, while at the same time contradicting the very need for doing any of these things, because everything was an illusion, including morality itself. This philosophy became popular at the time because it fulfilled an objective need of very powerful sectors of society, which had suffered greatly due to the spread of philosophies like Buddhism and Jainism. What was worse for them was that Emperor Asoka had taken Buddhist philosophy into his own ideas of nation builidng and regarded the precepts of Buddhism as a foundation for a just society. 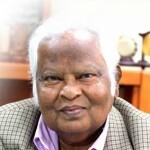 His idea of developing social responsibility was on the basis of these moral principles. He is regarded as one of the early rulers who understood the place of morals, as well as the place of social responsibility, as a necessary foundation of social order. His thinking was far advanced for his time, and it in fact encompasses many of the modern developments relating to human rights, ecology and environmental sciences, and the respect for the rights of not only human beings, but also other animals and all living things. With royal patronage, these ideas took root in many parts of India, and as they took root, the influence of Brahminism suffered deep setbacks. Mountains of historical evidence exist showing how Brahminism came to have a much lower place than it had enjoyed in the long period before, wherein Brahmins had been the dominant caste and had enjoyed privileges accordingly. The caste system of India created something worse than slavery. A key aspect was the creation of the shudra caste, which consisted of everyone in any employment relating to physical strength. Work through the brain was considered to be of the highest level, though it simply meant that those who interpreted the ancient Vedas, so the Brahmins, were at the top of the caste ladder, meaning that they were entitled to all privileges. The nature of the Indian caste system was different from the rank systems in Europe and other countries; even royalty was of less importance than the Brahmins. What happened in the 8th Century was that the Brahmins and all those castes and social sectors close to them were in need of a new religion or ideology that was able to challenge the place that Buddhism had come to hold in India. Buddhism, as a philosophy, was insistent on ethics. Ethics were of paramount importance to the Buddhist way of life. Adi Shankara was able to undermine this by developing the philosophy which said that the world and everything that existed other than Brahma was an illusion. There was no place for human endeavor, no place for human effort, no place for merit, no place for hierarchy of values – all of which related to the idea of moral living. When Buddha said that a true Brahmin is someone who is truly virtuous and that a truly low caste person is someone who is not virtuous, the scales were changed for determining the human individual: away from being on the basis of birth, and more on the effort made to live a good life. It was this way of life that was exposed to ridicule by the idea that everything was an illusion. There was no basis for making sacrifices because those sacrifices led to nothing. This almost distilled formed of nihilism achieved the unbelievable result of displacing Buddhism altogether from Indian soil. In later generations, people who wanted to distort history began to attribute the decline of Buddhism to factors like the arrival of the Muslisms. However, despite the fact that the Muslim invasions did considerable damage to various universities, libraries and places of gathering which had become popular among Buddhists, the actual damage had already been done and that was mostly due to the efforts of Adi Shankara. It is for this reason that he is venerated even today, and the villages he journeyed to, challenging Buddhists to come to debate with him, on the condition that if they lost the debate they would have to become his followers, are today regarded as places of pilgrimage. In Kerela, there is a monument for him in all the villages he visited in which he was able to defeat Buddhism, including many places where he, with a large following, created violence to subdue Buddhists. I have visited some of these places myself. What is important is to understand how a deep sense of nihilism entered into the Sri Lankan way of life, into all communities, preventing them from absorbing any modern developments that came thereafter. It could be argues, as Dr BR Ambedkar argued in terms of India, that had it not been for the deep divisions created by these changes that were brought about by the kind of movements that spread this nihilism, the colonial invasions and the final conquest of India may not have happened. Indians could have been unified to fight against these external forces. The capacity for unifying whole populations to fight an invader became impossible because caste divisions became so deep that persons of higher castes could not be around the lower castes for fear of contamination and being considered impure. The ideology of impurity divided the whole nation in the deepest possible way. It is this deep wound that India has not overcome even today, though, due to the efforts of the lower castes themselves, led by many persons, including Dr BR Ambedkar, the status of so-called untouchables and the lower castes have undergone a certain level of transformation. However, there is a long way to go, and what is against these changes is the negativity and nihilism bequeathed through the philosophy of illusion. It is this same thought pattern and philosophy that the BJP exploits even today. This philosophy was not only imbedded in Sri Lanka by the preaching of the philosophy of illusion, but by village-to-village reorganization by Brahmins brought from India. They traveled from village to village, and the living symbol of their journeys was the way that every village in Sri Lanka was divided by caste. Either there is a single caste in one village or they live in different parts within the same village. There is historical research about such divisions and how they came about, demonstrating a huge changes that occurred in the country, producing division as a result of a nihilistic philosophy. Lanka as a single nation. However, the influence of nihilism is much deeper. If one goes into an analysis of the constitutional changes in Sri Lanka, in which the very principles of western democracy were completely eliminated by the new constitutions of 1972 and 1978,, we see the influence of the same nihilistic philosophy. The inability to understand any modern concept is inbuilt into a deeper psychology, which regards everything, cynically, as illusion. Everything can be rejected without giving much thought to it. This has come to rejection in the very legal system itself, as law itself is considered a matter of no significance, and the people have begun to talk about their own nation as a lawless nation. A deeper reflection on our history since the 8th Century is very much needed, along with a frank discussion about how the Sri Lankan consciousness acquired this extent of negativity. This needs to be examined by anyone who wants a Sri Lanka that is able to absorb the changes happening in the world and is able to accept that the respect for everyone’s human dignity should be the foundation of their social organization. Here, a christian writing about Indian philosophies without much reading or studies. All crap. Butddha’s time along there were 62 or 64 philosophies all contemporary doctrines. Buddhism shot up from all those. Because, Only the buddhism could answer all the questions. Because of buddhism other philosophies became weak and but did not disappear. Writer is talking about one such philosophy. Jainism by Mahaveera is one goes closest to buddhism. South Indians were mostly Jainists. I used to wonder how India was colonized the West easily; the reason you give is surely one of them. I had education of Hinduism at school until the GCE O’Level: I can assure it is full of fatalism to keep people complacent and happy rather than be enterprising, discover and invent things or in general to pursue worldly knowledge, explore foreign lands or do scientific research. Whatever it is people in South Asia at least is very keen on a perpetuating caste system. While the old caste system fades over time, a new one is emerging. I am confused your claims on Adi Shankara who was Hindhu Philosopher and the founder of non-dualism (Advaita Vendanta). Shankara lived in 800CE , Ashoka lived in 260BC.. Was Buddhism in India in 800CE??? As a major religion ?? Shankara was Hindhu philosopher who mastered Upnishad, Baghwad Gita, Brahma Sutras.. It is said that he learnt Mahayana Buddhism and Nagarjuna’s Madhyamaka and famously describe core difference between Hinduism and Buddhism. Nagarjuna didn’t explain “emptiness” as “nothingness”.. He explains it as “Emptiness of Inherent Existence”.. Are you saying famous philosopher Shankara could not understand Nagarjuna’s Emptiness explanations? BuddhaGosha who lived in 500CE visited Lanka learn Buddhism, why? That is before Shankara (800CE).. I don’t get your argument… Again, concept of Emptiness Buddhism is not Nothingness or nihilism. It is Emptiness of Inherent existence or in other words it is same as “Paticca Samuppadha” ..
Caste system is every where in the world. In North america, it is the rich, middle class and the poor class who are mostly immigrents who are economically disadvanged migrents and blacks. It is the same in Europe. But, that is how almighty wanted it. So, people have to take it. It is like when chrtistians went to Tibet and identified buddhism as Mysticism. they heard about Nrvana and talked about total annihilation of self, and they made a mess. Now, they are writing the books all over. This gentleman also has screwed up big time. If we try to correct, need to write the whole article again. Otherwise, the article is BS. there is a nice Story that Shankra-chaaraya made his own philosophy to be not working when one King tried to test practically Shankara-chaaraya doctrine. When one teacher from that school was coming to meet the King, King sent a drunkard elepahant in front of him. Shankar teacher climbed to a tree. When asked if no one exists why did you run for life ?, his response was non -existing elephant was coming to attack non-existing. So, I climbed to the non-existing tree. (just for fun). Duality is fundamental to the character of the Universe. For example, light, which exhibits wave-particle duality. In fact, all particles in existence are present in such a metastate. There is no “God particle”, such as Shankara may have believed. Modern-day cosmology states that most of the Universe is made up of dark matter/energy. However, the effects of dark matter are not so clear-cut. For example, if we look at gravity, dark matter effects are more apparent when taking the mass, as opposed to the acceleration, of an accelerating Universe into account. So even in this case, one cannot ignore the impact of duality. tick, tick, the world is 3D and the retina is duality 2D. This means our brain has to construct the third dimension from inputs beyond what is transmitted to our eyes. In order to do this, our brain makes a series of assumptions often based on prior experience. 2 faces, 3 faces, psycho freud…jung…4th gem mindfulness 7th path of gautama. Life or existence does not have to go down on its knees and beg logic to prove that it exists or that it is there. to bo or not to be?? The world is not 3D. That is what fools like you think. Time is one dimension, space is three. 1+3 = 4. String theory has 10 dimensions. But you are on your knees five times a day, bending over to the Moon God and begging for a halal-style slap. 10 you are a hen. rump of school teacher at best. palyan yakooo . count your fingers like the arab or jew. Learn basic physics before barking here. You thought you can debate a qualified academic? Hehehe, go and attend to your goats, silly idiot. non professional moron stay an academic liar. born to hide and squeak what a load of rats- upstarts to physics, chemistry,….computational biology and applications. Who is the moron here, you are the one who called Hitler a “very brilliant man” and thinks Hampstead is a “village.” Hitler was a fool, that’s why the Germans lost 750,000 men at Stalingrad, with 91K being captured. Learn some real history before barking here. sir you seem to understand this well. I can conveniently say your asymetrical slander took the twist because you are old fashioned, started like mahadenamutta past pissed, thereby ignored a decade old scientific discovery. Scientists have discovered that schizophrenia sufferers are not fooled by a visual illusion and are able to judge it more accurately than non-schizophrenic observers. The world is 3D and we see 2D per lens at 30 degrees each. Or is article of yours an autumn moon’s dream -harvest moon?? The half and half song same as Aristotle’s Golden Mean. very good analysis. negativism has held Sri Lanka back. Buddihism is to blame with nirvana being nothingness, where there is no reward mentality. I feel this negativism you talk about is more a result of superstition and conversative society. People are afraid to say something good because that might jinx them. Also, there is the thinking that one should not rock the boat by commenting too much on how good it is. Perhaps the universe will react and spoil your fun. “The superstition can also be referenced when talking about a future event with too much confidence. A statement such as “We’re sure to win the contest!” can be seen as a jinx because it tempts fate, thereby bringing bad luck. The event itself is referred to as “jinxed”. Your knowledge of religion and literature is even worse that your knowledge of world politics.